We are happy to introduce you a new cartoon for kids. Let’s repeat colors of the funny cars after the Choo Choo Train. 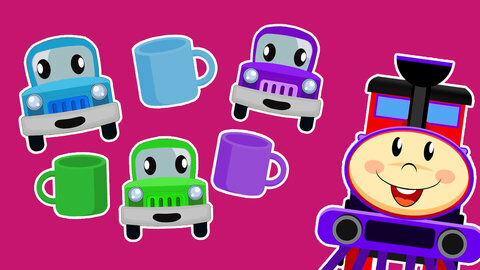 Go for shopping with the Rail Car – choose cups for colorful cars! Pay attention - a car color should match the cup!